Dr. Tyberg was born in Wisconsin. He completed his pre-medical studies (B.A. with highest honors; 1960) at Bethel College, St. Paul, and his graduate (Ph.D., Physiology; 1967) and medical (M.D. ; 1972) degrees at the University of Minnesota in Minneapolis. He did a post-doctoral research fellowship with Dr. Edmund Sonnenblick at Harvard Medical School. Before coming to the University of Calgary in 1981 he worked at the Cedars-Sinai Medical Center in Los Angeles and the Cardiovascular Research Institute, University of California, San Francisco. 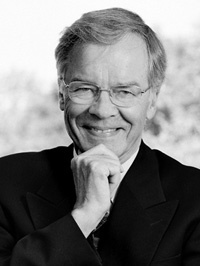 He has supervised more than 30 graduate students or post-doctoral research fellows during his career and is listed as an author of more than 150 publications, mostly focused on cardiovascular mechanics and dynamics, pericardium-mediated ventricular interaction, and how changes in venous capacitance modulate cardiac output.